How confident are you that British workers will embrace the fields and step into the shoes of the growing number of European migrant workers who are choosing to work in countries such as France or Germany instead of the UK? Personally, my confidence levels are low. The early indicators suggest that Britain is facing a labour crisis and there needs to be a plan to stop it from getting out of control. 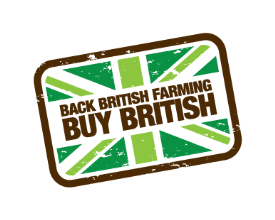 2018 is looking to be even worse for British farmers when it comes to attracting workers than the situation was last year. At a time when online searches are a good indicator of people’s interest in all sorts of matters, including jobs, google search statistics are a good place to assess what people are really thinking when it comes to where they will work. The strategic communications firm GK Strategy recently put together a report with digital data company OneFourZero which suggested a significant slump (34%) in the number of Romanian, Bulgarian and Polish workers looking for agricultural jobs in the UK compared with the previous year. Importantly, this has not been counteracted by a rise in searches for similar jobs from UK workers. The reasons for this reduction are probably two-fold. Certainly, the recent fall in the value of sterling must have had an impact as, all of a sudden, workers from overseas are getting a lot less financial return for their time than they had been used to in the past. However, there is also a general feeling among migrant workers that they don’t feel welcome and would therefore rather go elsewhere. For me, this is perfectly understandable, if concerning. Farmers in need of seasonal labour are going to have to pull out all the stops to attract the workers they want this year. Many migrant workers enjoy returning to farms that they have worked on in the past, and if they like a particular place they will recommend it to others, but with an increasing number of reasons to go elsewhere this is certainly no guarantee for the employer. Employment conditions and perks as well as accommodation and perhaps even social activities on offer are going to have to be particularly good to turn the eye of prospective workers. Farmers can of course always turn to the domestic workforce, but there is no sign as yet that British job seekers will be turning to fieldwork in the thousands that would be necessary. Further, it appears that the problem is not restricted to agriculture. Searches for jobs in the UK’s construction sector fell by 30% between 2016 and 2017 and in health and social care the figure was an 18% drop. If we can accept a slump in the rural economy then filling these roles and others is perhaps not so much of a concern, but for businesses to grow and in turn for rural communities to be sustained in the medium and longer term the jobs need to be filled somehow. All eyes will be on the Brexit negotiators for a solution to this growing problem. However, social stigma is something that is beyond their control. It’s important for people to feel welcome and valued. For a sustainable agricultural sector in the future we need to value the critical roles of seasonal workers and make people feel welcome to do this work, no matter who they are or where they come from. Ben Eagle writes about farming, the environment and the countryside. He blogs at thinkingcountry.com, tweets at @benjy_eagle and you can listen to his Meet the Farmers podcast on iTunes.